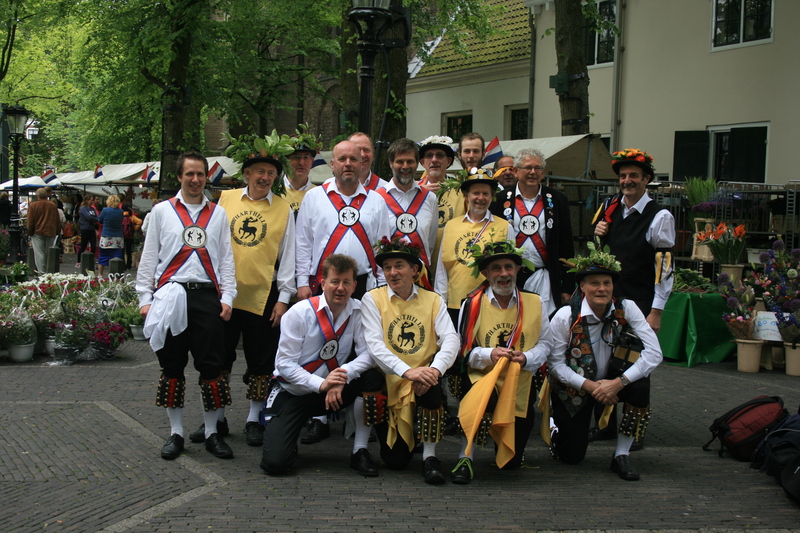 From the 10th to the 17th of June 2015 part of the Harthill Morris flew over to the Netherlands and linked up with Utrecht Morris. Alan C. has penned what he has described as a monologue about the trip, which can be found here: Harthill Morris Netherlands Trip 2015 (opens in new tab/window). Photos from the trip, taken by Alan H. and Neil as well as a promotional leaflet and a couple of local newspaper articles, are available to view on our Flickr account.